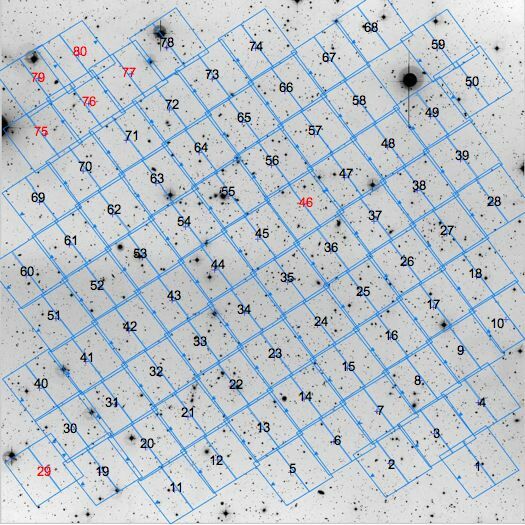 STAGES (Space Telescope A901/902 Galaxy Evolution Survey) is a a large area (~0.5x0.5 degree) survey of the complex Abell 901(a,b)/902 multiple-cluster system at z=0.165. 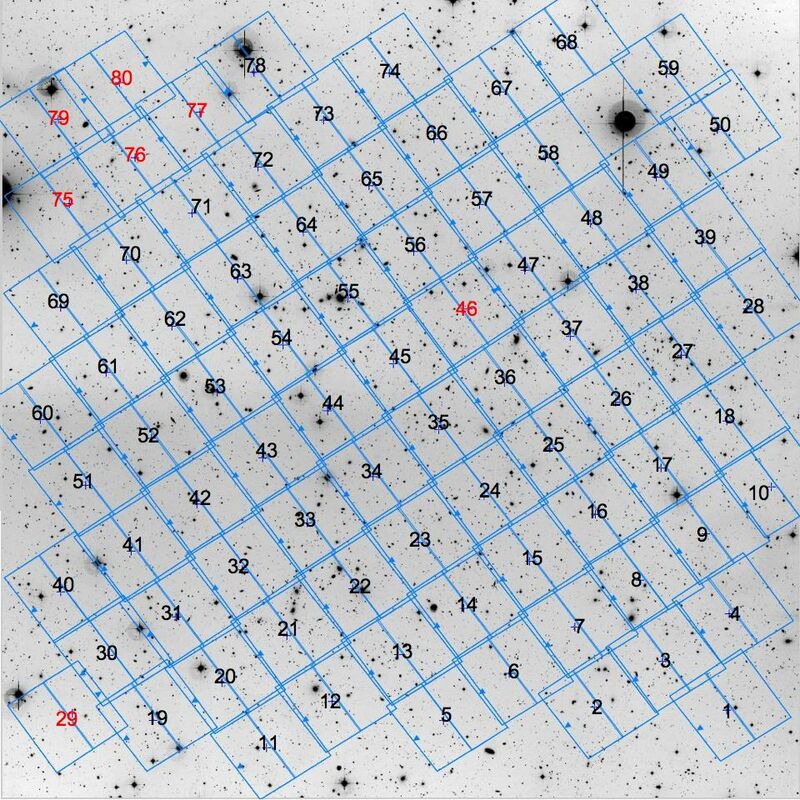 An 80-tile imaging mosaic in F606W was conducted in Cycle 13 under GO program 10395 (PI: M. Gray). About the image: STAGES tiling pattern overlayed on the ground-based COMBO-17 R-band image. Tiles in red indicate those oriented at 180 degrees to the main mosaic. With multiwavelength data available from COMBO-17, HST, Spitzer, XMM-Newton, GALEX, 2dF and GMRT our survey goals include simultaneously linking galaxy morphology with other observables such as age, star-formation rate, nuclear activity, and stellar mass. In addition, with the unique multiwavelength dataset and new high resolution mass maps from gravitational lensing, we are able to disentangle the large-scale structure of the supercluster. By examining all aspects of environment we aim to determine the relative importance of the dark matter halos, the local galaxy density, and the hot X-ray gas in driving galaxy transformation. The data products available at MAST include the reduced HST/ACS images for each of the 80 tiles in the F606W ACS mosaic, as well as postage stamps for all objects in the field and the complete output of GALFIT profile fitting. The STAGES ACS data are located in the anonymous ftp area on archive.stsci.edu in the directory /pub/hlsp/stages/. To retrieve all data, ftp to archive.stsci.edu, login as anonymous and cd /pub/hlsp/stages. A clickable table of observations and README file are also available. The STAGES SkyWalker tool, developed by Knud Jahnke, allows you to interactively explore the entire STAGES mosaic, with colour provided by COMBO-17 observations. For more information about the survey, or to download the associated STAGES master catalogue (including SExtractor and GALFIT parameters; COMBO-17 photometry, photometric redshifts and stellar masses; and UV and 24 micron derived star formation rates) or additional multiwavelength data, visit the STAGES homepage: http://www.nottingham.ac.uk/astronomy/stages.